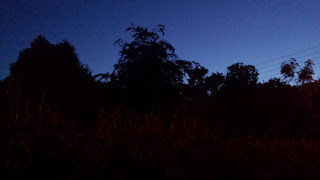 When you see the inky* sprawl of towering branches silhouetted against azure skies at dusk, and feel the very air pulling at your senses, you know it is exam time again. It is almost June and in houses and bedrooms all over the city, teenagers have their heads crammed in books; not for the love of it, but because exam season demands it, and not even the warm, perfumed evening air can tempt them out of doors. For some, it is the in-between time, between school and college, when the rest of life lies ahead and every waking hour is spent guessing at what the future holds. 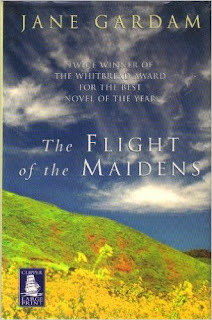 Such is the time frame of this charming novel by Jane Gardam, called 'The Flight of the Maidens'. Here she presents us with three young women, all around 18 years old, who are just about to leave home and go to university, in London and Cambridge. The novel begins with the three 'maidens' sitting in a graveyard, imagining what their future's hold, on the day that they have received coveted government scholarships for university. They are the exceptional few, the clever elite, whose lives have been touched by grace and brilliance. They are Hetty Fallowes, Una Vane and Lieselotte Klein. The former are Yorkshire girls, the latter a German Jew who was saved from the concentration camps and fostered by a devoted Quaker family. The year in 1946, just after the end of World War Two, when the world was suddenly full of possibility again and dreams were countenanced once more. as in Hetty's case, to free herself from her mother's tight grip and her father's flakiness, or, as with Una, to explore physical freedom, the unknown delights of passion and love. For Lieselotte, to whom the book is dedicated, her search for identity has an altogether more practical bent, she is literally searching for who she really is, her family, her history, her identity papers having been accidentally lost on her journey to England. Each of these girls is interesting in their own right, but the real delight for me is the world that Gardam creates between the pages of the text. It is full of eccentric characters, not unlike the sort you might find in a Jane Austen or Agatha Christie novel (English through and through) so that you feel that these people really lived and this world must surely have existed. Just take Mr Fellow's, Hetty's father, who is still suffering the effects of The Somme. This handsome man gave up a brilliant career in academia to become a gravedigger. He likes to quote 'Hamlet', Shakespeare's famous play which features the two nameless gravediggers (1 and 2) who give Hamlet Yorik's skull to ponder. Una too has 'father issues', hers having walked off a cliff, like Gloucester in 'King Lear' (are you sensing a pattern?) 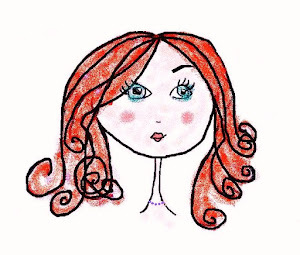 when she was a girl. And as for Leiselotte, well she has neither father nor mother, both having been gassed at Auschwitz. In her clever way, Gardam is really then dealing with the awful pulling apart that comes when a child leaves home for the first time and morphs into an adult. It is a curious age to write about and perhaps a difficult one, when one is an older author, like Gardam, but her ability to recall the fears and anxieties on leaving home at that age is uncanny; they are captured brilliantly in this book. If you liked 'Old Filth', you will like this book. And if, like me, you remember the thrill of breaking free and the ache of anticipation, a time when summer evenings came calling like an unfulfilled promise, then this is a book for you. *The word 'inky' kindly suggested by Luke Kehoe Roche. Dedicated to 6MB - who loved to read Shakespeare and Jane Austen and who are caught in the delicious agony of pre-university limbo, as I write.